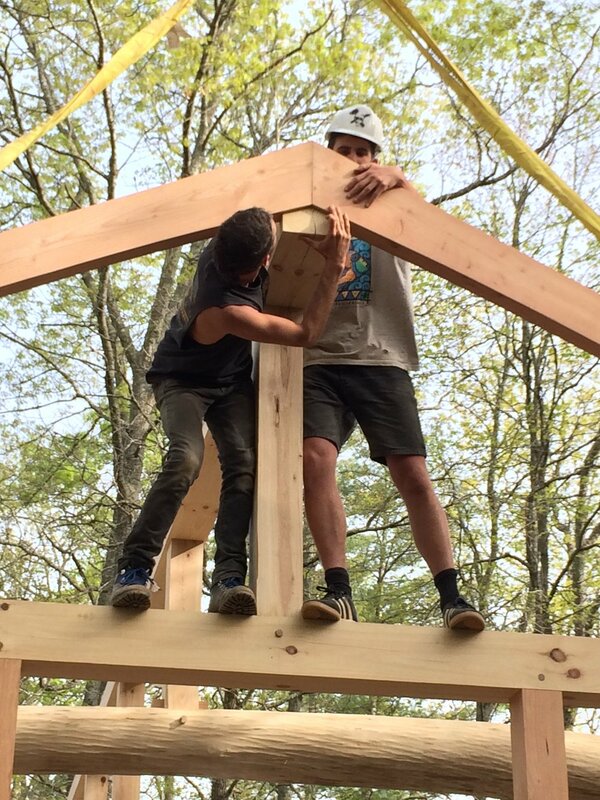 this unique class collaborated to build a permanent structure for the penland campus. 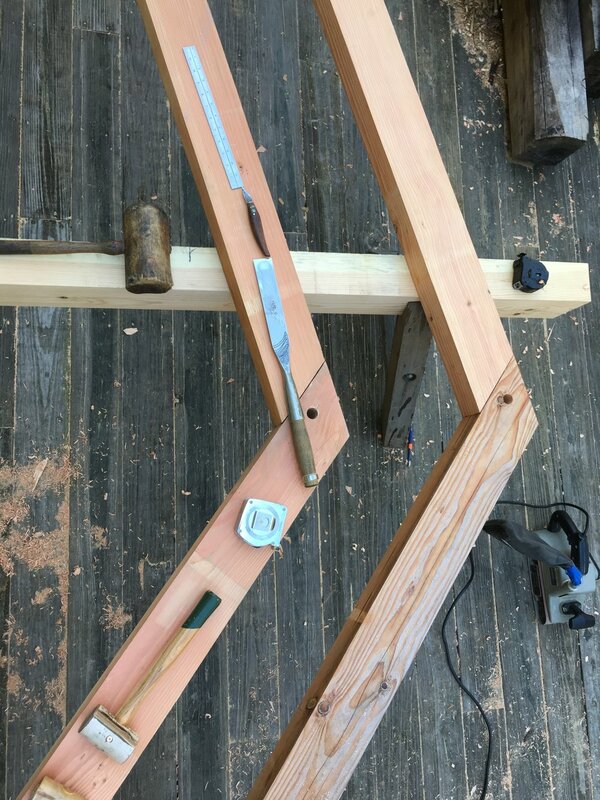 students built two styles of timber sawhorses to use as work stations and then embarked on the construction of an 18’ x 30’ timber framed structure which was raised in the final week of the concentration. 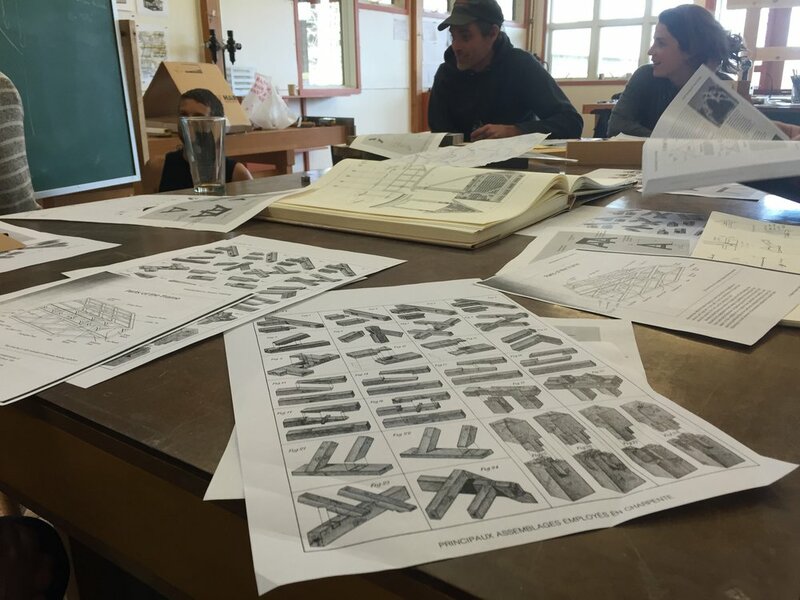 the building would eventually be roofed and partially infilled, and will house wall panels about penland’s history as well as the school’s historic travelog, an appalachian-style log cabin constructed on the back of a flat bed pickup which was used in the 1930’s as a booth at the chicago world fair.